Home Job Tips Tricky HR Interview Question With Answer- What are your career goals and how long do you plan on staying? Tricky HR Interview Question With Answer- What are your career goals and how long do you plan on staying? The interviewer wants to know whether you are looking for a career rather than just a job. Does your goals align with the organization's goals, whether you have made any realistic plan for your future? It can sometimes be challenging to put certain things into words. 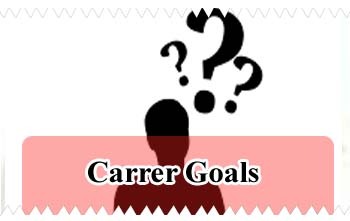 They are trying to ecounter your career goals as well as how long you gonna support the company you are working for. They are not looking for temporary staffs, they want someone who can work for long term. - Research the company websites and figure out their mission and goals. - Use other social media to see what they’re saying and where they are engaged recently. Check them out on twitter, facebook etc. - Tell them you want to learn more, to help the company move up. You can even talk about how you look forward to greater responsibility as you learn more about the company, or that you hope to be ready to do more things. - Don't throw the question back to them. Don't skip this question in anyway. - Show that you are ambitious and want to grow and move up along with company. - Remember that your future goals should not be different with your current roles. (like if you're applying to be a Software developer but you want to be in Web development). - Try not to mention things like, salary, retirement, vacation etc. It gives a bad impression to your interviewer. Answer : I would like to see myself as a Restaurant Captain/Supervisor in the future. I'm going to learn and gain practical experience until then, but eventually, I want to handle more responsibilities as a Supervisor/Captain in the future. I know there are a lot of things to learn, but I'm going to be working hard for the several years until i wont get accomplishment. I believe opportunities come to hard workers and I'm going to try to be one of them. Since i get the chance to explore more opportunities, i am gonna stay for long unless i wont be able to embrace my career goal.